My heart sings when I read a story about one of Australia's most-loved animals. Throw this against a backdrop of Australia’s own Byron Bay, and Jesse Blackadder’s new book is sure to delight. Dexter -The Courageous Koala is the final book in the ABC Books series celebrating Australia's animals. Twelve years old and animal-crazy, Ashley has longed for a pet of her own. When the plans for her new puppy suddenly fall through, her parents send her on holiday to cheer her up. But the ‘holiday’ is nothing like she expects. Picked up by her eccentric aunt Micky and driven out beyond mobile range to ‘Toad Hall’, Ashley’s troubles are just beginning. In a matter of hours she is facing a furious storm, a flooded creek and an electrical blackout – not to mention a koala emergency. Ashley manages to save an injured mother koala and her joey, Dexter, who have been knocked from their tree. But the storm has cut off the only access road to the property, and the koalas desperately need help. Ashley is drawn into the reality of what caring for wildlife really involves. Beautifully told, Jesse Blackadder’s takes the reader on a journey of grief and hope, despair and joy, danger and courage. While children will easily identify with the need to care for their own pets,Jesse Blackadder cleverly highlights the very real threat and need to protect one of Australia’s most vulnerable - our Koalas. 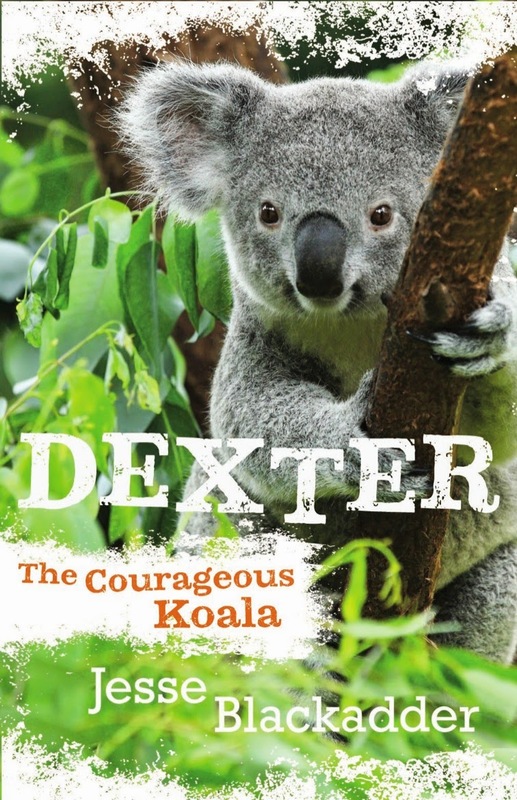 Skilfully written and rich with description, Dexter -The Courageous Koala is a moving tale of courage and caring, and is truly a pleasure to read.